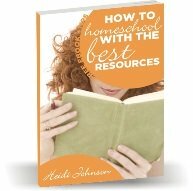 Here are some free printables and worksheets created for homeschoolers. Enjoy them and put them to good use. Many times you can accomplish just as much with your own page as you can with a whole workbook. Some children don't like textbooks and workbooks and if you can use hands on activities and then throw in a page to fill out once in a while, you can both be happy. Worksheets tell you not only what your child knows but also whether they can put that knowledge down on paper in an organized way. Feel free to share ideas if you have come up with your own page that works well for your family. Please send it on to me and I will list it here. The "Detective" pages can be used as a supplement or fun activity. You can use it for many people or just at the end of your time studying a certain person. The "Find The Letter" page is great for preschool and kindergarten age children who are just learning to recognize their letters. You put the page into a sheet protector and print a letter in the box. Then your child needs to circle all the letters that match that letter. There are 3 of each letter. My son loves this page! The field trip form is great to use to take with you on a field trip or to fill out when you get back home. These are designed to put some spark back in your learning. Free printables also help the budget and give you some unique pages that you just don't see everywhere. All forms are copyright by Heidi Johnson. Permission is given to homeschool families and classroom teachers to reproduce these forms for your own family or classroom use only. These are not to be reproduced or stored in any form for an entire school or for any other purpose without permission from Heidi Johnson. 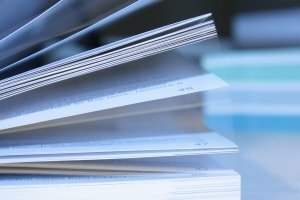 Do not link from your website directly to individual pdf pages. You may however, link directly to this web page. Thank you for helping me to protect my copyrights. Free Ebooks You Can Download Right Away to Help You Today!